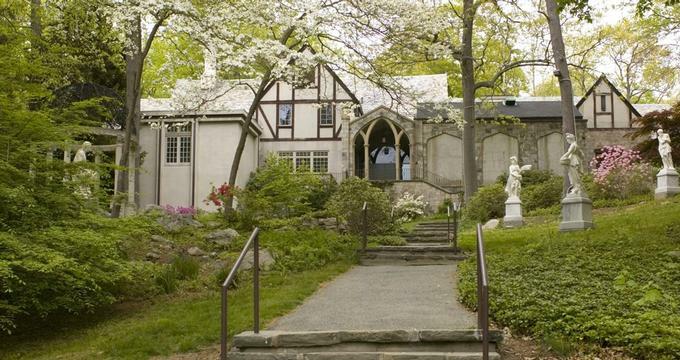 Emblematic of New England’s unique character, the Stamford Museum and Nature Center in Connecticut is an ideal place to spend a few hours, a day, or a week. This family-friendly attraction is known for its natural beauty, peaceful atmosphere, and educational exhibits. The Stamford Museum goes all the way back to 1936, when it was first the brainchild of Dr. G. R. R. Hertzberg. Armed with a vision of a place where members of the public could learn about art as well as the natural sciences, Dr. Hertzberg spearheaded the museum’s initial fundraising campaign. Later, in 1939, the museum was able to grow with contributions from the city and town of Stamford. In 1945 the museum got a new home, when a former carriage house was deeded to the city of Stamford along with 8 acres of land. The Stamford Museum began to host art exhibitions in addition to its already existing natural history programs. A decade later, in 1955, the museum once again upgraded its land holdings and moved into the Henri Bendel Estate, which consisted of 80 acres of land. Over the years, the museum has grown to 118 acres of land, attracting 175,000 visitors each year. Normally found in marshy ponds, wooded riparian areas and, not surprisingly, rivers, river otters are known for their playful nature. Visitors can observe these frolicsome critters at the Edith and Robert Grant Otter Pond, where they are sure to delight in watching them eat, dive, and play. While river otters are active all year, they are most active in the mornings and evenings. Visitors keen on experiencing a slower pace of life will relish the sights and sounds on offer at Heckscher Farm. Spread over 10 acres of land, this functional farm has much to see and experience. A chicken coop, pig pen, pastures, shelters, and even a barn built in 1750 are just some of the structures that occupy the land. Equally impressive are the creamery, organic vegetable garden, and maple sugar house, which showcase how the raw materials obtained from the animals are processed. This humble New England farm is also a great place to see heritage breeds of farm animals. With plenty of scenic walking trails spread across 80 acres, the Overbrook Nature Center has much to offer visitors of all ages. This idyllic environment is home to many species of animals, such as white-tailed deer, wood ducks, and red foxes. Birdwatchers are encouraged to make their way to the meadow area of the property, where nesting eastern bluebirds are often spotted. For a more in-depth look at the ecology of the area, the nature center has many interactive exhibits and access to live animals as well as a gift shop. The recently upgraded telescope stationed at the Stamford Observatory allows visitors to get a better understanding of our place in the universe. By viewing the moon, planets, and deep space objects, visitors will doubtlessly leave the facility with a lifelong interest in space exploration and astronomy. Viewings are generally available on Fridays but are subject to weather conditions. The collection curated at the Stamford Museum includes 20,000 objects, which are subdivided into five distinct categories focusing on various aspects of American art and history. American Social Realist artists, such as Guy Pène du Bois, Reginald Marsh, and Milton Avery, are well represented in the museum’s American art collection, which represents works completed in the 19th and 20th centuries. Providing a great counterpoint to the Anglo-American artistic landscape, the museum also holds a variety of prehistoric as well as contemporary objects and artworks made by Native Americans. In an effort to educate museumgoers about the natural history of New England, the museum showcases animal and mineral samples that demonstrate the natural beauty of the area. The Porter Bird Study Skins and Rowell Egg Collection are a few of the many wonders that are sure to both delight and educate visitors of all ages. The museum’s collection of American household, agricultural, and Civil War memorabilia are curated to tell the history of the American people through the objects that shaped their daily lives as well as key events in the nation’s history. Much of this collection is dedicated to the history of Stamford itself, which allows museumgoers to become better acquainted with the region.